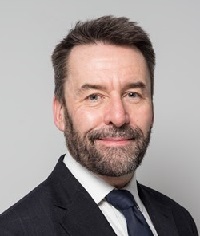 Transport for London (TfL) and Crossrail said Wild’s appointment comes as the Crossrail focus prepares to move to full-time testing and will enable him to lead the complex project “through its final phases”. Wild has been London Underground managing director since June 2016 and will return to the role once the Elizabeth Line has opened through central London. His appointment follows confirmation of an interim financing package between the government and the mayor of London to enable Crossrail to continue construction work and testing at pace to open the Elizabeth Line as quickly as possible. While Wild is at Crossrail, London Underground director of network operations Nigel Holness will step up to the role of managing director and take up his previously-announced position of deputy chief executive for Metro Trains Sydney later.